A Sudanese bishop has written to U.S. President Barack Obama, calling for prompt actions to save the lives of those still alive in the country’s Nuba Mountains, Blue Nile and Darfur regions. Rev. 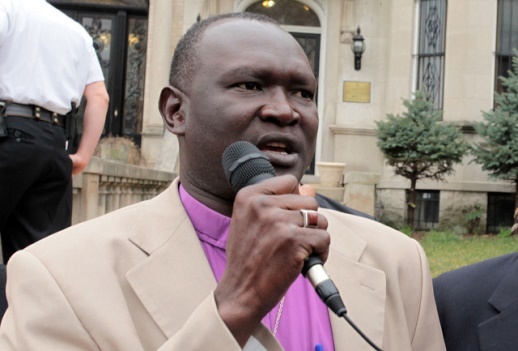 Andudu Adam Elnail, the Bishop of Kadugli diocese, called for tough actions against the Sudanese regime. He reminded world leaders to not just focus on the Syrian conflict, but pay more attention to the war raging in various parts of Sudan. According to Rev. Elnail, his country is currently plagued by “government-sponsored crimes against humanity” which deserve Obama’s attention. “As a victim and survivor of genocide, I would like to remind your respected office that great effort is needed to end the deaths and displacement and restore peace to our community, which has suffered for so many years,” Rev. Elnail wrote in the letter, published in the Sudan Tribune. “Our people feel as though the world has forgotten them. We wonder why you have not acted to end our people’s suffering or that of the people of Darfur, who are still suffering and whose plight is getting worse. 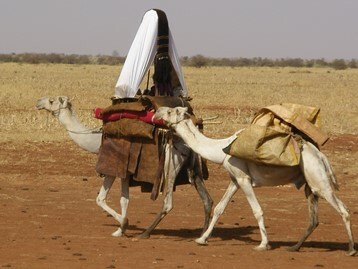 The bishop also deplores the conditions of people living in the war-affected Sudanese territories, citing starvation conditions in the Kao Nyaro and Warni areas of the Nuba Mountains. “If the political situation is not addressed and aid is not delivered to the people immediately, the catastrophe will grow until it is too late,” he says. Meanwhile, Elnail urged Donald Booth, the newly appointed U.S. envoy to Sudan and South Sudan, to develop a new pro-democracy and civilian protection-oriented policy on Sudan. In another strong call for action, a collection of 20 international human rights organisations sent a letter on September 9 to the UN Human Rights Council outlining serious human rights violations in Sudan during the past year, urging them to address these during its session ending 27 September. The letter cited specific violations by the government forces and allied militia, accusing them of continued abuse against civilians — including failure to protect civilians, indiscriminate bombings of civilians, denying of humanitarian access in conflict areas, use of excessive force to subdue protesters and mass detention of perceived enemies. The violations occurred in Darfur, Southern Kordofan and Blue Nile, and also spread to Northern Kordofan. • “Since South Sudan’s independence, public rhetoric by Sudanese leaders and religious figures has become increasingly intolerant. In 2013, there has been a marked increase in harassment of ethnic Christian groups and individuals. Authorities have shut down Christian educational institutes and harassed and arrested employees and church members. • “On 15 January 2013, authorities closed down the Life Institute for Learning, an Egyptian Christian educational institute in Khartoum teaching Arabic to non-Arabic speakers. The non-Sudanese owner and students were ordered to leave Sudan, and the institute’s assets were confiscated. On the same day, three other Christian educational organisations, including the Karido Institute for English Languages and Computer Studies, the Nile Valley Academy for Primary Education and the Aslan Academy for English Language and Computer Studies, were closed down and had their assets seized. • “On 3 February 2013, an Undersecretary in the Ministry of Endowment and Religious Affairs sent a letter to the Evangelical Presbyterian Church in Sudan threatening to arrest the church members if they began any missionary activity. Sudan is due to adopt a new permanent Constitution, which the government has declared will be based on Islamic Sharia, and is preparing for national elections in 2015. The Sudan Tribune reports that President Omar al-Bashir’s ruling National Congress Party (NCP) sees the general election as a crucial means to renew its contested legitimacy and vote in a new Constitution in the country since the secession of South Sudan. 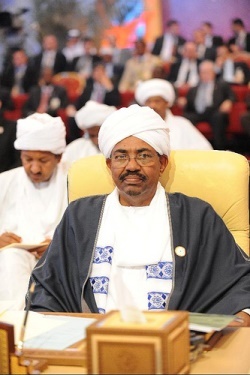 The paper reported that al-Bashir has said the armed rebellion and tribal clashes will be brought to an end by the end of next year, so that the 2015 general elections will be held in a Sudan that is “free of wars”. Among other actions, the organisations called on the Human Rights Council to condemn the human rights violations, establish an independent investigation into the matter, and urge the Sudan government to grant humanitarian agencies access to Southern Kordofan and Blue Nile States. They expressed concerns over the on-going restrictions of basic civil and political rights, harassment, arbitrary detention, torture, ill-treatment and restrictions on association and assembly. “We regret that previous resolutions adopted by the Human Rights Council failed to condemn the widespread violations of international human rights and humanitarian law committed in Sudan, and did not identify concrete priority areas of action to improve the protection of basic human rights,” they added. Human Rights Watch (HRW) has also written a letter to the Permanent Representatives of Member and Observer States of the UN Human Rights Council, commenting on the 10 September report of the Independent Expert on the Human Rights situation in Sudan. In particular, the Expert’s view that “the Government has made progress in putting in place necessary legislations and institutional mechanisms for improving the situation of human rights in the country” caused concern. According to HRW, it refers merely to the government’s promise to retain bill of rights provisions in the current Interim National Constitution (INC) in a permanent constitution, which has yet to be adopted. HRW says that to date neither a) the adoption of a plan to implement UPR recommendations, nor b) the establishment of various bodies such as the Advisory Council on Human Rights, the National Commission for Human Rights and other commissions to promote human rights, nor c) the adoption of a 10-year action plan for human rights, have led to changes to laws, policies or practices that violate the rights of the Sudanese people. It criticised the report for downplaying the continuing, serious violations and repression of basic rights across Sudan. As an example, it stated the lack of prominence the Expert gave to continued indiscriminate aerial bombings of civilian areas in Darfur, Southern Kordofan and Blue Nile. “The Expert failed to include a recommendation to the government of Sudan to immediately stop this indiscriminate bombing on civilians in Darfur, Blue Nile and South Kordofan, which has killed hundreds of women, men, and children. This reprehensible practice, for which the Sudanese government is directly responsible, violates basic principles of international humanitarian and human rights law, and should be a primary concern for the Independent Expert,” HRW said. It also protested that the report did not make clear the government’s role in Darfur’s complex conflict dynamics. While it described “tribal clashes” in Darfur, it failed to note that at best Sudan is failing to protect civilians, and at worst it is allowing its security forces to participate in killing civilians. HRW cites research showing Ali Kosheib, a known former militia leader, participating in attacks on civilians in ethnic Salamat villages in Central Darfur in April this year, in his capacity as a commander in the government’s Central Reserve Police. Kosheib is wanted by the International Criminal Court for crimes in Darfur in 2005. “Moreover, the report did not accurately reflect the continued use by security forces of violence to break up peaceful protests, or the well-established practice of stifling dissent by arbitrarily detaining people with real or perceived links to rebel groups or their continued use of torture and ill-treatment to exact confessions from detainees,” HRW said. Despite what HRW called “a long-standing and entrenched tactic of repression,” it noted that the 20-page report included only a paragraph listing some examples of arbitrary arrests. “Once more, we urge member states of the Human Rights Council not to overlook the gravity of the human rights situation in Sudan, to condemn violations of international human rights and humanitarian law in Darfur, Southern Kordofan, Northern Kordofan and Blue Nile states and the on-going restrictions of basic civil and political rights across the country. HRW urged the Human Rights Council to explicitly call for reporting on the on-going violations in Southern Kordofan, Northern Kordofan, Blue Nile, and Darfur, and repression of human rights in other parts of the country, including attacks against human rights defenders, journalists and critics. “Given the gravity of the current situation in Sudan, the Human Rights Council should call on the Expert to report on these matters at its next session,” HRW concluded.